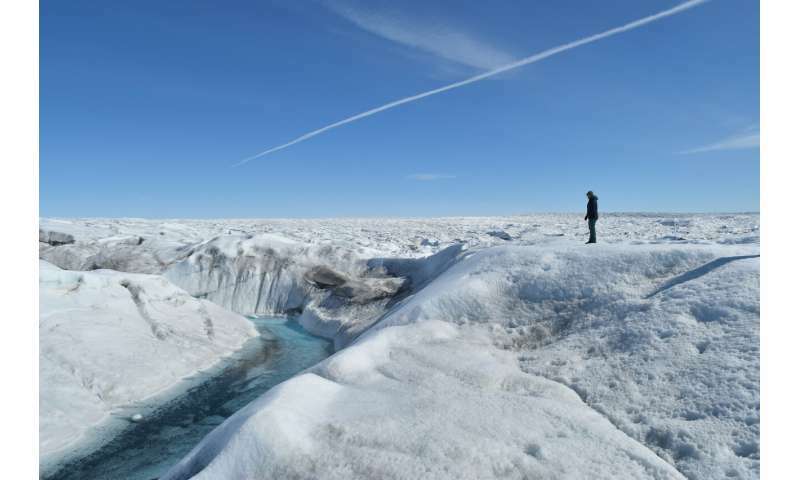 Rainy weather is becoming increasingly common over parts of the Greenland ice sheet, triggering sudden melting events that are eating at the ice and priming the surface for more widespread future melting, says a new study. Some parts of the ice sheet are even receiving rain in winter—a phenomenon that will spread as climate continues to warm, say the researchers. The study appears this week in the European scientific journal The Cryosphere. 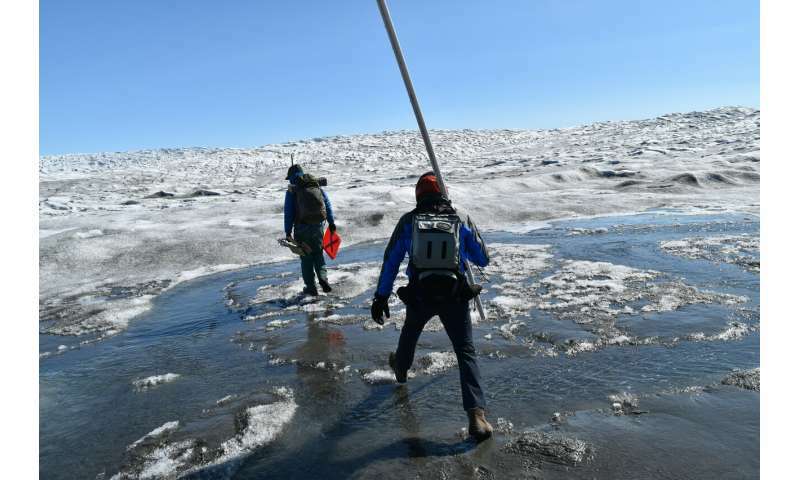 More information: "Increased Greenland melt triggered by large-scale, year-round cyclonic moisture intrusions," The Cryosphere (2019). Wouldn't it be fantastic if Greenland were to become green again? At the expense of welfare crapholes like New Orleans? Too bad man-made global warming is a myth. More Pathological LIES from the Pathological "science", of the AGW Cult. Where do you intend to get the required soil, Moron? No it didn't. That is a gross misreprsentation of the data. There has been no appreciable acceleration in sea level rise in the last 25 years. The 2.2 mm/yr rate comes from tide gauge measurements, with records going back to 1870. The 3.3 mm/yr rate comes from satellites starting in 1993. No one is certain why there's a discrepancy in the two datasets, but you can see from this graph of both that there was no sudden jump in rate where they overlap between 1993 and 2013. And the satellite rate was 3.4 mm/yr but has declined slightly to 3.2 mm/yr which means, according to the satellite data, that sea level rise has been slowing. The "global warming is good argument" ignores the fact that far northern and southern latitudes get significantly less annual horizontal irradiance. Less irradiance lower yields. My newfoundland ancestors had the same problem , they used seaweed . From all this endless alarmist BS, you'd think Miami would be underwater by now. V4: why isn't Miami underwater by now? Moron. Please link to the study that said Miami would be underwater by 2019. Otherwise you are making things up.